Will America’s trillion-dollar investment in new infrastructure withstand tomorrow’s disasters? Communities are increasingly keeping climate change in mind as they plan roads, sewers and energy grids for the future. September 14, 2017 — When Hurricane Harvey made landfall on the gulf coast of Texas in late August, it led to widespread flooding in Houston and other cities and towns. In some places more than 15 inches of rain fell in a 24-hour period, quickly inundating roads, highways and entire neighborhoods. Damage from the storm is expected to be in the billions of dollars. Then, even as commentators and onlookers invoked the word “historic” for Harvey in one breath, the very next breath was given to the historic proportions of Hurricane Irma, relegating coverage of Harvey to a backseat as one of the largest hurricanes ever recorded took aim at Florida. As these areas work to recover, we face a compelling question: Given that weather extremes are expected to become even more severe and frequent, how can and should efforts to replace lost and damaged infrastructure aim to make it better able to withstand disastrous events to come? “It’s not something off in the distant future. The climate’s been changing,” says David Dzombak, head of Carnegie Mellon University’s civil and environmental engineering department. Adapting to climate change, Dzombak says, is a grand challenge for those involved in designing and building infrastructure. “We’ve been observing different kinds of changes in the practice of civil and environmental engineering, and we’re really just now getting about the task of trying to think about climate change adaptation in more formal ways,” he says. Climate analysis, projections and modeling are becoming increasingly common tools for planners and engineers working to build and repair U.S. infrastructure. Climate analysis, projections and modeling are becoming increasingly common tools for planners and engineers working to build and repair U.S. infrastructure. Agencies at every level of government are taking climate science into account as they develop plans for the roads, sewers and energy grids that will serve the public for decades to come. And as they think about what that future may look like, climate change is one of the main factors to consider, Dzombak says. But while many agree that climate change should be a bigger consideration during infrastructure planning, it’s not always an easy sell. “The thing about climate change, it’s an incremental, slowly evolving phenomenon,” Dzombak says. “And it’s hard for the average citizen, the average council person, the average state legislator to see that.” Not only that, but climate change has been politicized, making it difficult to address objectively on the state or national stage. But as Harvey and Irma have made eminently clear, factoring climate change into infrastructure planning and construction is more important today than ever. California assemblymember Bill Quirk is not the average state legislator. A former NASA scientist, Quirk has been following climate change research since the 1970s, and he’s made it a key part of his work in government. He was elected to the state legislature in 2012 and recently helped create a law aimed at ensuring that new infrastructure and building projects can better withstand the impacts of climate change. California is a leader on many environmental fronts, but it’s not alone. Other states and cities around the U.S. are also taking new approaches to planning and building various types of infrastructure. 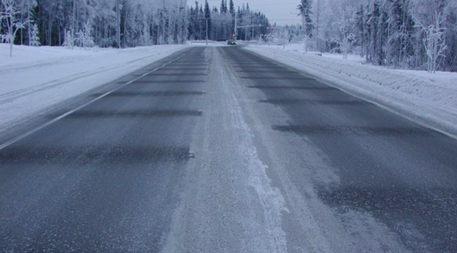 In Alaska, transportation planners are preventing road slumping from thawing permafrost with a new type of roadbed that allows more cool air to circulate underneath the asphalt and counteract warming temperatures. After Superstorm Sandy caused major flooding and power outages in the New York metropolitan area in 2012, New Jersey Transit began developing an “electrical microgrid” that can supply localized power to transit infrastructure when major storms cause blackouts. 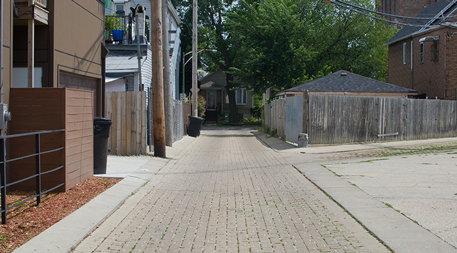 Chicago has installed a system of green alleys that have converted pavement into water-absorbing green infrastructure that can reduce the likelihood of overflows of the combined sewer and stormwater system in the event of excessive rainfall. And in Los Angeles, where extreme heat is increasing, officials are trying to cool the city down by expanding its tree canopy. But not just any trees will do. The city is currently testing a variety of potential new street tree species, monitoring their growth and resilience over time in hopes of identifying those that will not only provide more canopy cover but also be able to persevere in the face of climate change. “Our focus is what trees will survive, especially in a hotter, drier climate,” says Elizabeth Skrzat, policy director of City Plants. The range of responses reflects the variety of ways — both big and small — in which climate change can affect infrastructure in different regions. And though the investments being made are often significant, they’re happening in line with the accepted wisdom that it’s cheaper to act now than to patch up problems later. An influential 2005 report from the National Institute of Building Sciences showed that every dollar spent on disaster mitigation saves society US$4 in the long run. And as disasters like Superstorm Sandy, Hurricane Harvey and Hurricane Irma strike more often, regions are likely to begin to see the returns on their investments. But efforts like these aren’t yet widespread. “We are putting on the ground US$1 trillion worth of buildings and infrastructure every year. And I can tell you the bulk of them are not being constructed to account for the effects of climate change,” says Bilal Ayyub, a professor of civil and environmental engineering at the University of Maryland. Change in infrastructure is gradual, Ayyub says. Infrastructure planners and engineers are constrained by building codes and standards, which can be slow to evolve as new methods are debated, tested, monitored and improved. 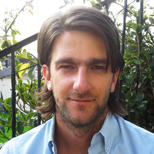 He’s trying to speed up the adoption of new best practices in climate resilient infrastructure by working on a manual focused on adaptive design and risk management for the American Society of Civil Engineers. The publication will probably be ready for engineers to use by spring 2018. Some cities can’t afford to wait. In Miami Beach, Florida, sea level rise is a visceral concern because hurricanes and high tides in the spring and fall can cause flooding throughout the low-lying city. City engineer Bruce Mowry says the flooding has gotten progressively worse in recent years. He decided the city needed to update its master plan to address not the recorded floods and tides of the past but what the sea-level rise models projected may happen in the future. “We’ve got to go not only to the extreme, we’ve got to add probably another foot on top of that to give us a little breathing room,” he says. “This is not a one-time deal. You don’t go out and build something and forget about it.” – Bruce MowrySeeing the potential for increased flooding down the line, Mowry and the city’s elected officials created a strategic plan for reducing flood damage — upgrading stormwater drainage pipes to block backflow from high tides, altering building codes to remove disincentives for building first floors above projected flood levels, and raising the level of city streets. So far the city has invested US$100 million in prevention and adaptation efforts, all funded by an increase in a city utility fee. Mowry says the city has another US$400 million worth of projects on the drawing boards — for the near future and for decades down the line. Since becoming president of the United States in January 2017, Donald Trump has vowed repeatedly to deliver a “great national infrastructure program” — a roughly US$1 trillion effort focused on the nation’s roads, bridges, water and energy systems. Ideologically cast in the mold of the Depression-era New Deal, it would be a job creating public works bonanza. That plan has yet to materialize. But Trump has made some movement on infrastructure, issuing an executive order in mid-August to essentially lift regulations on infrastructure planning. One of its most consequential changes is the revocation of a rule put into place by President Barack Obama in 2015 to manage flood risk through “a climate-informed science approach.” It was intended to redefine floodplains based on projected changes in flooding due to climate change, and therefore redefine how and where infrastructure is built in the future. Trump’s order takes the climate science out of floodplain management. Less than two weeks after that executive order was signed, Hurricane Harvey made landfall in Texas. Volatile changes in climate and increasingly frequent extreme weather events are putting many parts of our built environment at risk of devastation. If we want new infrastructure to do its job for the long term, it must be planned and designed to account for what these changes will bring.